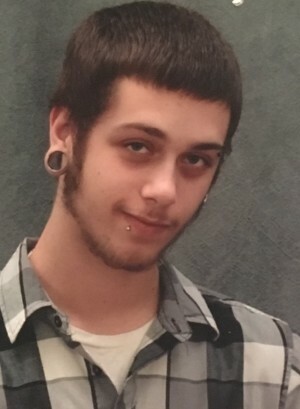 Jonathan "Jamie" Kane - age 21 of Gallatin, MO passed away Wednesday morning, April 3rd, 2019 at his home. Jonathan was born on September 9th, 1997 in Austin, TX the son of Timothy Kane II and Rebeca Colton. Jamie attended school in Grain Valley and had worked as a cook. He currently lived at Lake Viking. Jamie was loving, funny and a kid at heart. He was crazy about his two daughters and anxious about the one on the way. Jamie enjoyed producing music. He was a member of the Gnubz Crew, Obleisk and Sad Gang music groups. Jonathan was preceded in death by: his father, Timothy Kane II; paternal grandfather, Timothy Kane Sr.; maternal great-grandfather, Larry Salyers. Survivors include: mother, Rebeca Colton; stepfather, Nate Sousley; stepmother, Danielle Kane; girlfriend, Kaylee Hall; daughters, Carmene, Candence and one on the way; maternal grandmother, Sheri Coates; maternal grandfather, Martin Koelzer; paternal grandmother, Cheri Frendle; maternal great-grandmother, Barbara Salyers; sister, Skylar Wood; brother, Colton Trowbridge; brother, Chase Trowbridge; brother, Kaleb Sousley; sister, Kaitlyn, Sousley; brother, Timothy Kane III; sister, Elizabeth Kane; several aunts, uncles and other extended family.